A Bad Idea, Expressed Poorly: A Look at Some Contemporary Style Mistakes — Anna Akbari, Ph.D. The cargo skirt. Jellies (jelly heels!). 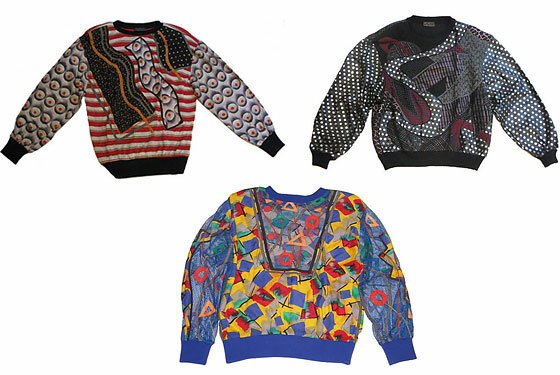 Acrylic Cosby sweaters. The maxi-vest. Sure, it’s a matter of opinion, but in ours, these are all moments the fashion world could have done without. Each of these styles seemed like a good idea at the time, but where are they now? A lucky few receive ironic appreciation, and the rest are the unmentionables of fashion’s past. Even among those whose taste is universally agreed to be impeccable, ‘mistakes’ are made. Despite exorbitant fashion budgets, high paid stylists, and designer gifts, the tabloids are full of fashion-police style exposes of many a celebrity red-carpet error. Bad trends draw parallels to romantic infatuation. Most of us can relate to the heady feeling of being completely, hormonally head-over-heels crazy for someone, only to discover, a very short time later, that this person actually inspires a visceral sense of revolt. How could we have been so wrong? An expensive pair of suede, pink, knee-high moccasins with pink cotton balls attached to the laces stick out in my mind (though I would prefer to forget them), because they were very much in style at the time that I purchased them. They tricked me with an enigmatic allure, and I was not the only person to fall prey to their insincere appeal. After being taken in by their trendiness, it took me a few days to see what should have been clear from the beginning: these boots were a trend gone wrong. 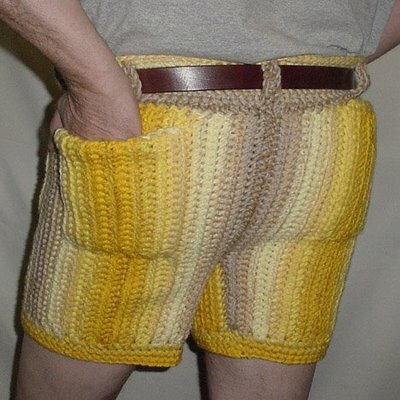 Someone actually made these babies, and someone actually wore them! Remember this? Don’t feel bad. Women of all ages, shapes, and sizes rocked this look, no matter how ill-advised it may have been. The point is, these things happen. Everyone has fallen under the spell of a terrible trend. Pat yourself on the back for thinking outside the box (albeit a little too far outside). Never stop taking risks. Just consider getting a second opinion on that really “edgy” look you’re sporting. Mix trendy pieces with classic pieces. Follow the Coco Chanel rule: Before you walk out the door, take off one thing (no, we don’t mean your pants). Own your choices. If you follow the above tips, never apologize for expressing yourself and always step out with confidence. Who knows? You might even start a trend.